Let’s say you have a company selling Widgets, and it’s called “George’s Widgets”. Should you advertise when someone does a search for George’s Widgets as you already show up in the top spot organically for that search, in fact, you have the top three spots in the organic search rankings. 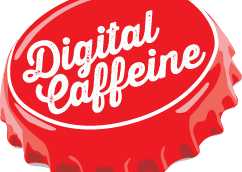 At Digital Caffeine, we consider it a best practice to run ads on your company name. Here are the reasons why. You may have heard the news, Google has made another change to their Search Results Page (SERP) and this one is a large one. Considering how basic the pages are, it seems tough to make waves, but they have. There’s a “test” feature that Google is currently running in AdWords which automatically shows text ads in your display campaigns as image ads. I recently encountered this while on a webpage where I saw a really ugly image ad and noticed that it was for one of our clients. After looking through their account, we weren’t running any ads that looked like the one I saw online. So I reached out to Google’s Customer support team and was directed to this post in their help center about these Automatic Image Extensions.